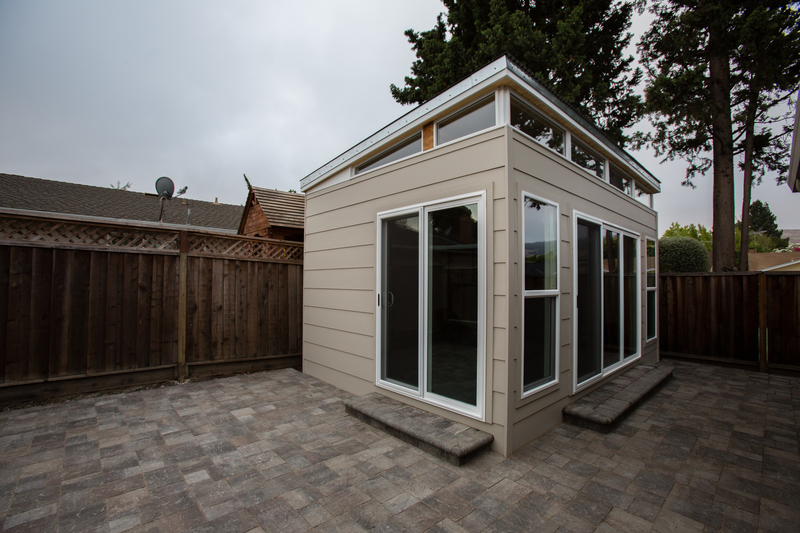 Northern California — Like most people who find Modern-Shed, Darren started off looking for something more. 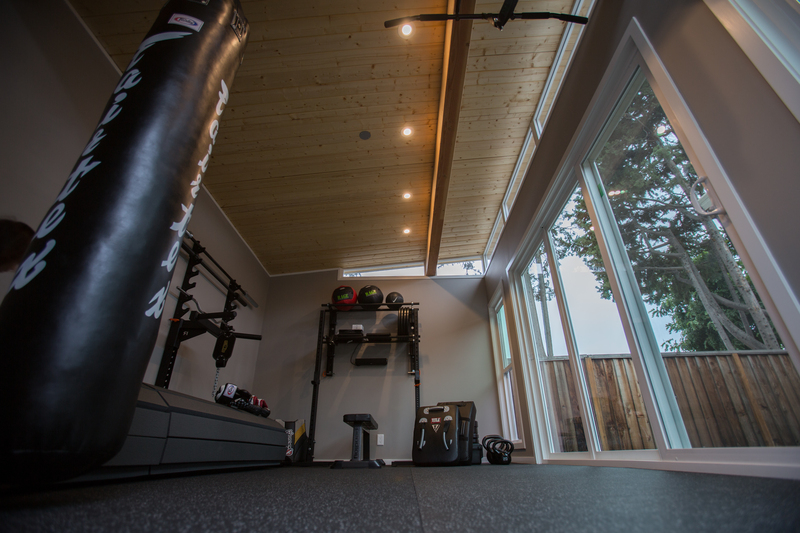 This 12-by-18 Modern-Shed serves as a home gym and training facility. Darren initially searched websites like Houzz, Rogue Fitness and other Cross Fit affiliates. Most of the results initially found were garage gyms. Then he found Modern-Shed. Within a few days, he contacted both Modern-Shed and a nationwide competitor online. He interfaced with both companies, and soon found that there was a clear difference. 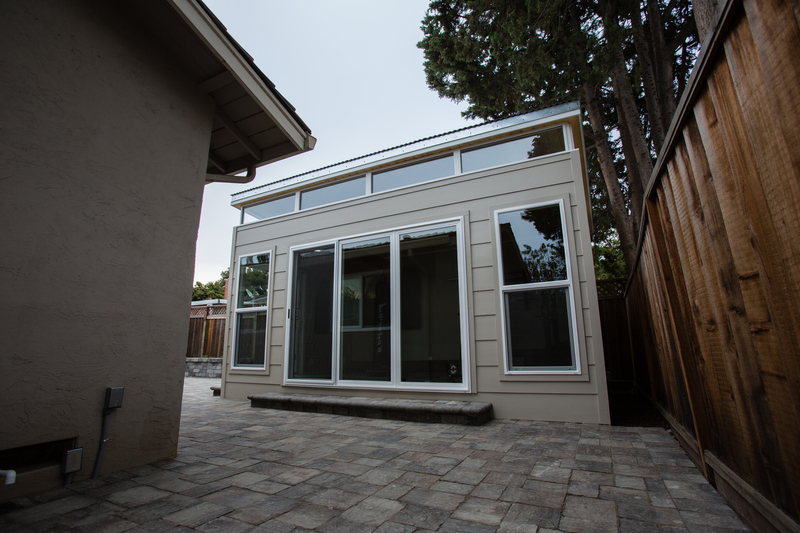 “Both companies had a good initial sales experience, but Mike Probach (of Modern-Shed) was amazing. I could tell that he cared about the product, and he was much more knowledgeable and helpful to my specific needs,” Darren says. After a personal visit from Mike, Darren signed a contract with Modern-Shed. This modern gym provides plenty of light with 15′ of open windows. Darren’s Modern-Shed is 12′ by 18′. 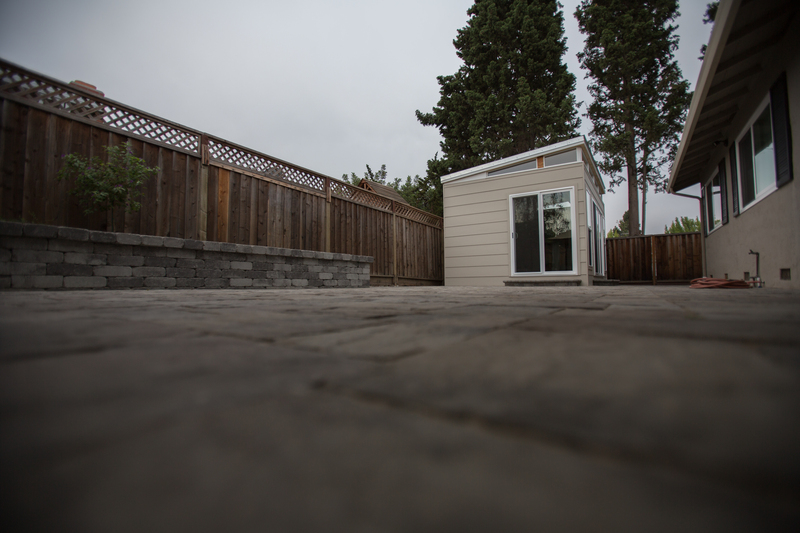 To have the shed functional as a gym, a custom flooring system was done. The flooring had to withstand dead lifts with weights of more than 350 pounds and Olympic overhead lifts with 185-pound weights dropped on the ground. The reinforced flooring also uses Regupol Aktiv — the same material that is used at the official Reebok Cross Fit games. The shed is one foot higher than the standard height. Darren also chose recessed lighting so that nothing obstructed the ceiling. Steps away from his home, Darren’s Modern-Shed conveniently allows him to spend more time with his growing family. Darren exercises and trains on average five days a week, two hours a day. The Modern-Shed gym was built within weeks. Darren added an extra foot to the standard height of the Modern-Shed to allow for more room for his training facility. < Previous What in the world is prefab?